When do car keys need replacement? Car owners find the need to replace their car keys due to different circumstances. Car keys need to be replaced when they get lost, or when they get broken or worn out. They also need to be replaced in other emergencies, like when they are stuck inside a car and the owner is unfortunately locked out. If the vehicle is a Honda, car keys can be replaced from the latest 2016 models to the earlier models of the Accord Coupe, Accord Sedan, Civic, CR-V, Odyssey, and Pilot. The ordering process for a Honda replacement key San Diego is relatively fast and easy. There are just several snippets of information that the vehicle owner should provide. First off, the complete year, make and model of the Honda should be given. Next, the vehicle owner should be able to provide the Vehicle Identification Number (VIN code). The owner should also be able to provide the vehicle registration and their driver’s license. Once all these information has been provided, then a Honda key replacement representative can assist the owner in any authorized Honda dealership or agent. However, those who want to save time and money can have their Honda keys replaced through a local locksmith. In San Diego, 7 Day Locksmith can provide all types of keys from remote keys, transponder car keys, standard car keys, non-remote keys, and electronic chips. Car owners will only pay for a key replacement for the fraction of the original price. replacement car keys for any major car brand. 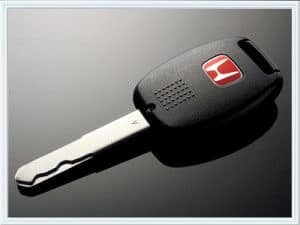 A Honda replacement key will not allow any other existing keys to open a certain Honda vehicle. Even if an owner finds the original Honda key, it will not function anymore. Transponder keys which have electronically embedded computer microchip require both cutting and programming when it is replaced. 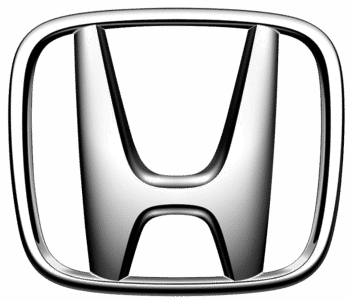 Most Honda car models after 1998 have transponder keys. The first generation transponder keys were used in car models from 1998 to 2002. They are programmed to a specific Honda car. A Honda key replacement San Diego should be programmed in such a way that the chip inside emits a signal to the vehicle’s computer and it should be able to accept the signal. It accepts the signal when the car responds to an unlocking or starting command. Once the code is changed in the vehicle’s computer, and the transponder key is cut and programmed, all other existing keys for that vehicle must also be re-programmed, or they will not work. Locksmiths can program a car’s immobilizer control to enable the use of the replacement key. They will match the new replacement key then re-program its code. Car manufacturers include remote entry as one of the standard features of their cars. Most cars that are on sale in the market these days have remote car controls that are used to lock and unlock car doors, open and close car trunks, and turning car alarms on and off. Most smart keys in the market also feature a warning or panic button, designed to trigger the alarm, honk the horn and flash the lights. This is a personal safety feature just in case a theft occurs. Remote controls function either with radio transmitters or infrared to send a coded message to a receiver that is located within the car. These remote controls are usually called key fobs or smart keys. Since radio signals are used, the frequency or range of the car is one factor to consider in locking or unlocking car doors. If the key fob or smart key is not working, it could either be a range or proximity issue. When a remote car key or key fob is lost and needs to be replaced, a car owner will naturally think about going to the car dealer to have the key replaced. A replacement of the receiver bypass may also be needed. 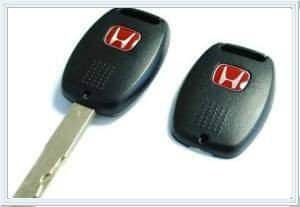 When the vehicle is a Honda, then a Honda replacement key San Diego can be procured at a Honda dealership. However, a Honda key replacement San Diego doesn’t need to be at a Honda dealer. An automotive locksmith such as San Diego Locksmith, California will be able to provide the car owner a new remote control with the same make, model and year of the vehicle. But only a dealer will be able to re-program the keypad door lock in the vehicle. Car fob or remote replacement by automotive locksmiths is relatively cheaper compared to the dealership. For an automotive locksmith, opening car doors and replacing keys are all part of their day. What does the work of key replacement entail? Is key replacement slightly different from one brand to the next, or is it essentially the same? For example, is a Honda key replacement San Diego different from a Kia key replacement? The main concern of an automotive locksmith is actually vehicle security. A car owner whose keys have been lost or compromised will naturally feel vulnerable. Customers usually call automotive locksmiths because their keys have been lost, their immobilizer is not working, or their Engine Control Unit is not working. For newer vehicles, regardless of the brand, the first thing that an automotive locksmith does is to solve the problem by retrieving the key security information. After the key security information has been retrieved, they need to reprogram the memory chip inside the immobilizer or Engine Control Unit. The memory chip that serves as data storage goes by the acronym EEPROM, which means “Electrically Erasable Programmable Read Only Memory”. The automotive locksmith then proceeds to do either “reflashing” or EEPROM reworking. “Reflashing” is when an immobilizer is restored to its original factory settings. When the vehicle is in the new mode, it is easy to reinstall programs and for it to accept brand new keys. 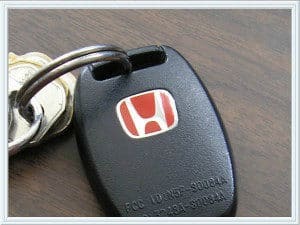 For example when reflashing is done to a Honda CR-V, it will be able to accept a new Honda replacement key San Diego. EEPROM reworking is when locksmiths work with the data stored in order to create or add keys. They use the EEPROM data to create keys.